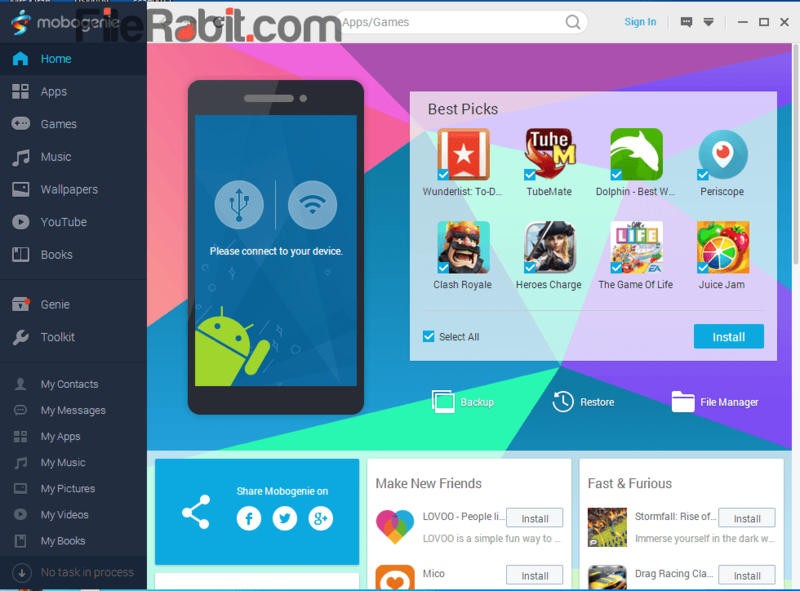 Mobogenie allows you to connect android mobile, manage it, sync data with PC, take a backup or restore data, install games and applications directly. Bundle of mobile managers and backup utilities were available over internet but most of them are time wasting. Some of them are requiring high cost of price so a standard mobile user can’t afford that rate. 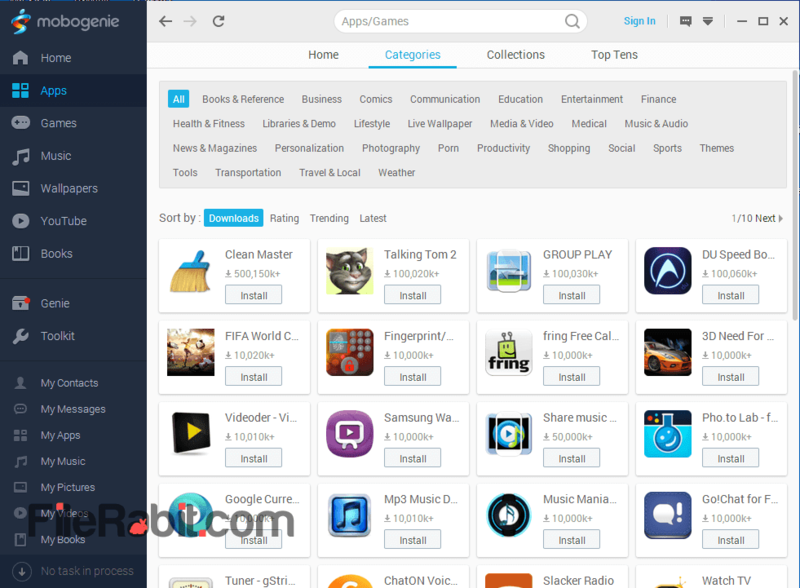 Mobogenie is one of favorite android smartphone manager with offering all utilities into one package. Mobogenie allows you to install multiple applications at once so you will only need to mark specified apps and click on Install button. This smart program gives all information about your android phone that was used to deal with it. Take a backup of messages, contacts, applications, images, videos or anything you want to select from given list. After flashing or software firmware update, restore all backed up content to smartphone with simple steps. Downloading multimedia content adding: videos, music and image files is now easier and simpler with Mobogenie. Search any audio or video file or even you can find and download favorite wallpapers.